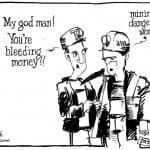 Indepth News about Wyoming People, Places & Policy. Wyoming news. 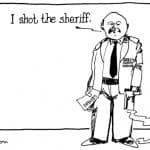 The proverbial boot was on the other foot last week for Sublette County Sheriff Stephen Haskell when he was arrested for alleged expense report improprieties. 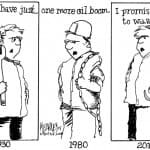 Cartoonist Greg Kearney takes aim at Wyoming's perpetual boom and bust dilemma. Among the most defining aspects of life in Wyoming in 2015 was the crash of the oil boom. 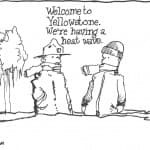 Despite overall warming temperatures in the Greater Yellowstone Ecosystem, the variation of environments provides opportunity for wildlife. So, you’re going for your data trespass badge? 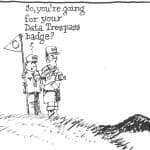 So, you're going for your data trespass badge?